Evergreen Companies, Inc. are Cary, NC irrigation contractors licensed by the State of North Carolina. Evergreen installs Rain Bird irrigation systems for customers in and around the Cary, NC area! 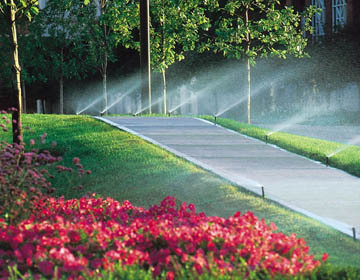 Let the Evergreen professionals design, install and maintain your lawn irrigation or sprinkler system. We have more than 10 years of experience providing professional irrigation systems and sprinkler system installations that will increase a Cary, NC home’s value and enrich its beauty for years to come. You can feel confident knowing that a new lawn irrigation system from Evergreen will be installed correctly to provide reliable service for as long as you own the system. We can also conduct regular irrigation maintenance and repairs to keep the system in top shape. We are experts in navigating the ordinances of the various communities that we serve, allowing you peace of mind through the entire process. Call Evergreen today and put our professionals to work for you, designing and installing your irrigation, sprinkler and drip systems. We serve clients in the NC Triangle, including cities like Raleigh, Cary, Apex, Morrisville, Holly Springs, Fuquay-Varina, Garner, Knightdale, Pittsboro, Wake Forest, NC and beyond.